AZEK? TimberTech? Composite? PVC? Vinyl? Cap stock? 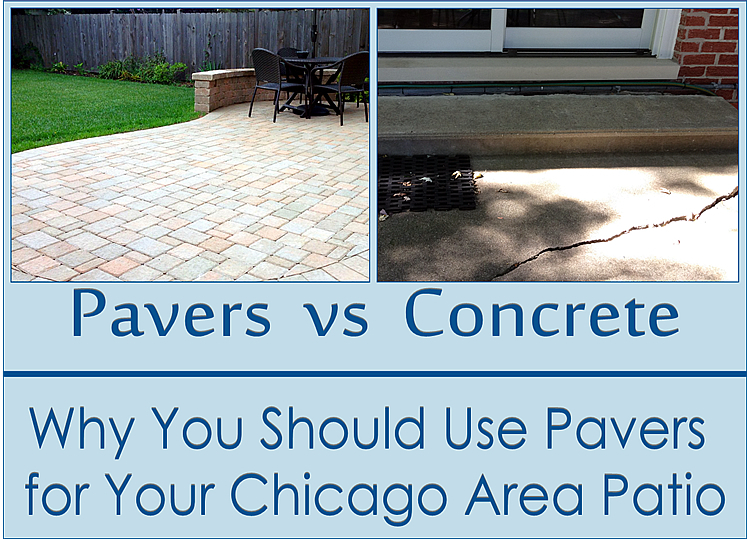 Why Should I Use Pavers for My Chicagoland Patio? Patios make great outdoor living spaces. They require little maintenance and allow for creative design options that make your yard more versatile and usable. 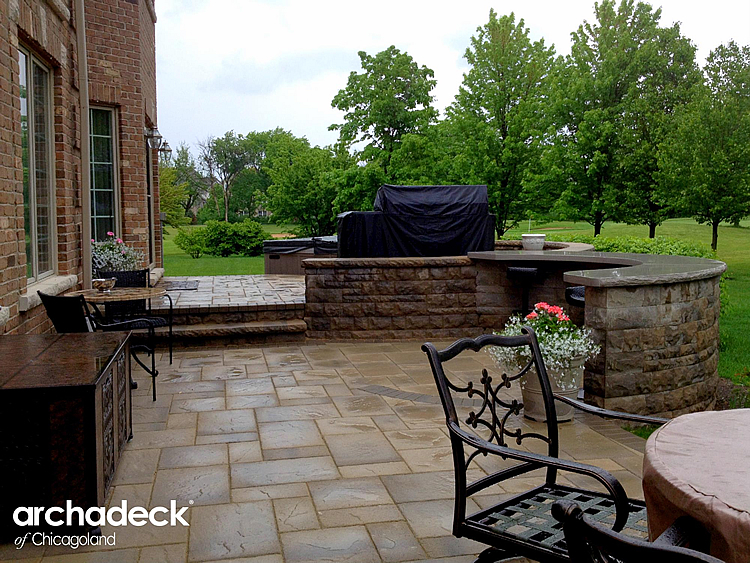 If you are considering a patio, you are probably researching your material options. The three most popular are pavers, concrete, and stamped concrete. Concrete looks great when it’s new and smooth and stamped concrete offers a bit of a custom look, complimenting your home. However with the extreme hot and cold temperatures of the Chicagoland climate, no matter the skill of your contractor or precautions taken, concrete will ultimately crack. The ground will move and shift over the years, and while this may cause your pavers to eventually shift as well, this is relatively easy to fix by relaying the section that needs repair. This is far more cost efficient (and for the DIY homeowners– free!) than replacing a full patio. Won’t weeds grow between the paver cracks? While some might enjoy the rustic look of moss or grass between pavers, the look is not for everyone. We place polymeric between the pavers when we build the patio and recommend that homeowners continue to sweep polymeric sand between the pavers yearly to prevent the growth of weeds. This is a simple and inexpensive process. Belgard also recommends mixing a pre-emergent granular weed killer into the joint sand if you find yourself with stubborn weed growth. While concrete patio prices are generally cheaper upfront, they will ultimately incur higher costs in the long run with repairs and replacement. Stamped concrete will generally run around the same price and in some cases are more expensive than a paver patio. 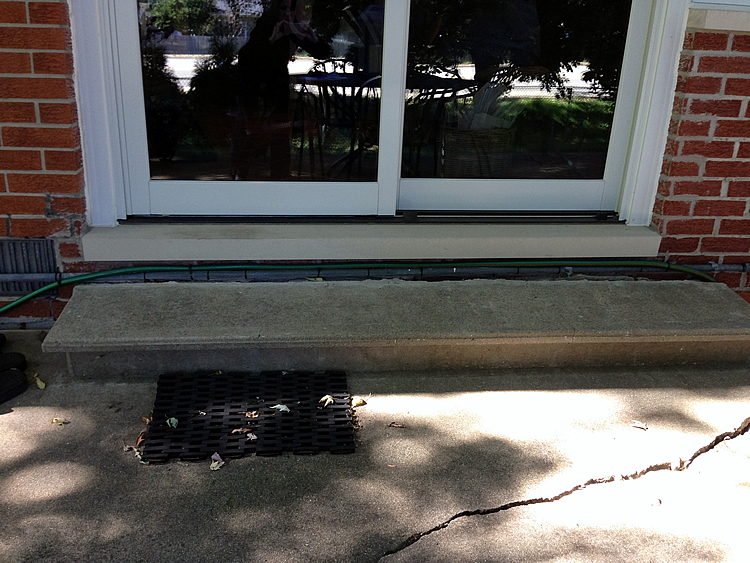 Unfortunately, because it is concrete, homeowners would still be looking at pricey repair and replacement costs. Pavers make a great investment as they last for many years, are easily and inexpensively repaired if necessary, and require little maintenance. It is important to us to use high-quality materials to ensure that you will spend many happy years on a beautiful patio. 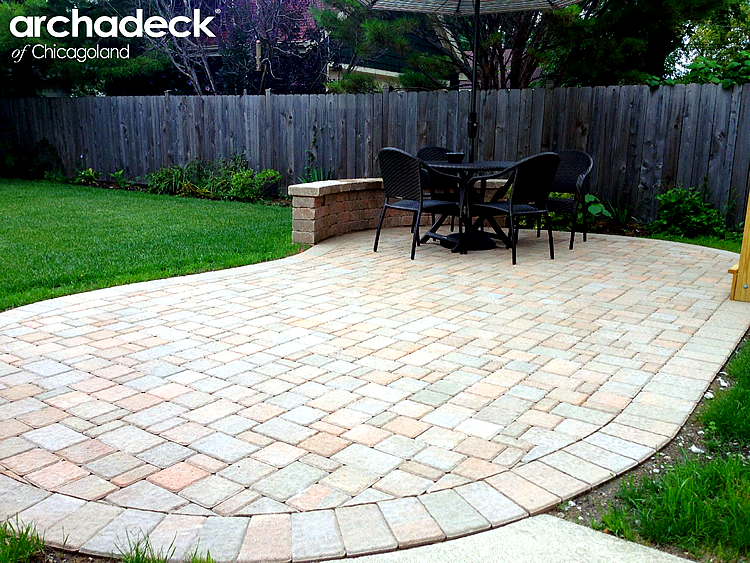 Because we use pavers, we are able to offer a warranty to protect your investment. We want you to be worry free as you relax on your backyard patio! 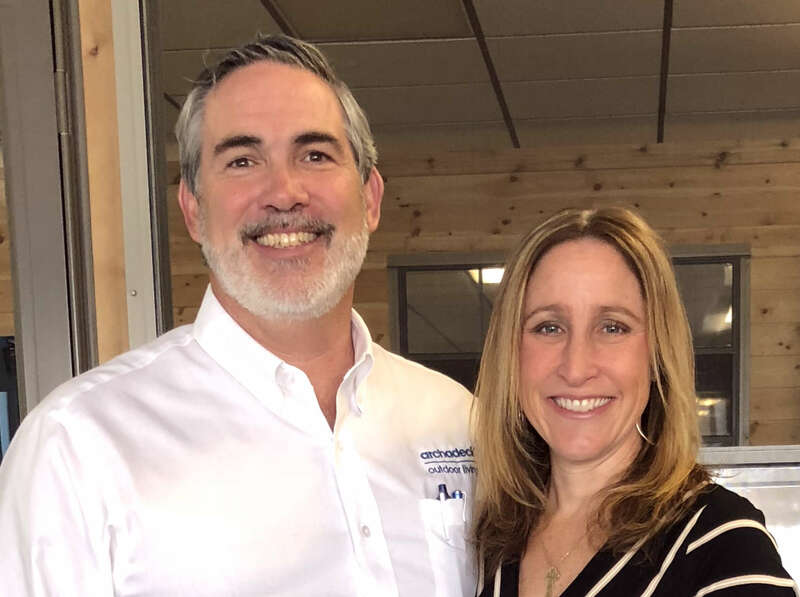 If you are ready plan your new patio, get in touch at one of our Chicagoland locations in Palatine and Naperville, at 847-496-4333, 630-505-7688, or 708-873-1990 or email us at [email protected].